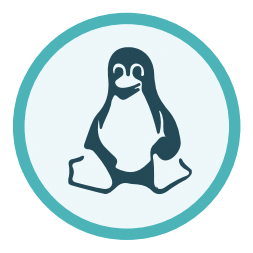 Home » Blog » What is Linux® System Management? 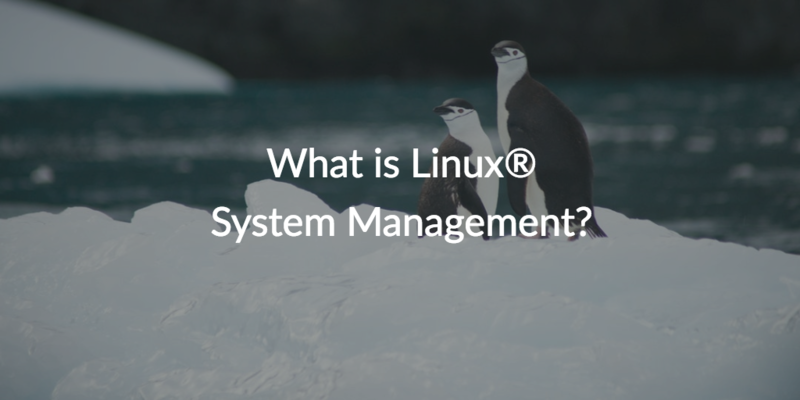 What is Linux® system management? Well, other than a common challenge in the modern office, Linux system management refers to the ability to manage Linux-based systems such as desktops, laptops, and servers. Why is this a challenge? We invite you to continue reading for the answer to this question, and to discover how the JumpCloud® Directory-as-a-Service® platform can help manage Linux systems and more. To understand why Linux system management is a challenge, we need to take a look at the development of the system management space as a whole. Prior to the year 2000, most enterprise systems were on-prem and were based on the Microsoft® Windows® operating system. In fact, the vast majority of IT resources such as systems, applications, files, and networks were Windows-based and on-prem. This enabled IT organizations to leverage Microsoft tools such as SCCM™ (formerly SMS) to manage their Windows systems, and Active Directory® (AD) to manage their Windows users throughout the network, which was predominantly on-prem. As a result, IT didn’t really need to worry about Linux system management because Linux systems were such a small fraction of the overall network (if they were present at all) that IT could effectively manage them independently. In general, managing Linux systems independently was either performed manually on each Linux system, or with configuration automation tools such as Chef, Puppet, Ansible, and Salt, to name a few examples. As mentioned, this approach was certainly effective for a small number of Linux systems. However, the popularity of Linux has exploded since the mid-2000s. In fact, Linux runs 90 percent of the public cloud workload as of 2017, according The Linux Foundation. Linux desktops have also grown in popularity in the workplace. The trouble is this explosion of growth has created a number of challenges with traditional Linux system management methods. The core challenge with traditional Linux system management in modern environments is that IT admins and DevOps engineers simply don’t have the time or the resources to manage fleets of Linux systems independently. For one, manual management is extremely inefficient, and this approach quickly breaks down for organizations with fleets of Linux systems, both on-prem and remote. Sure, admins can turn to configuration automation tools such as the examples previously noted, but they require highly skilled personnel and a lot of coding to execute designated tasks properly. Configuration automation tools also run independently of the organization’s overall identity management infrastructure, which creates a number of security risks and opens the door for shadow IT. Even powerful identity provider platforms such as Microsoft® Active Directory® make it difficult to integrate Linux systems into the overall IT environment. With all of these challenges and more, IT has come to discover that they need a better way to manage Linux systems. Fortunately, JumpCloud Directory-as-a-Service is essentially the holy grail for IT organizations struggling to manage modern IT networks. This is because the Directory-as-a-Service platform can not only help organizations to shift their entire on-prem identity management infrastructure to the cloud, but it can also centralize identity and access management to IT resources across the network. Linux system management is a core aspect of the JumpCloud platform, which enables IT to integrate Linux systems into their environment with ease. As a matter of fact, the JumpCloud platform can securely manage and connect users to systems, applications, files, and networks regardless of the operating system, vendor, protocol, or whether they are on-prem or cloud-based. The end result is that IT is empowered with the option to choose the best IT resources for their organization with the peace of mind in knowing that they can effectively manage it all with JumpCloud Directory-as-a-Service. Sign up for a free account or schedule a demo today to see the JumpCloud Directory-as-a-Service platform in action. We offer 10 free users to help you discover the full functionality of our product, including our Linux system management capabilities, at no cost to your organization. If you’re still asking, “What is Linux System Management?” contact the JumpCloud team today for more information. You can also check out the following whiteboard presentation to gain a better understanding of how to manage systems with JumpCloud.